Ceithin Starkley isn't looking for a mate. Especially now. In fact, he doesn't believe in true-matings at all. While being recruited for a new job, a scent on the wind stuns him, and he begins fighting an inner battle he never wanted, yet can't ignore. Warning: This book contains a drool-worthy Alpha male, and a sassy heroine with brains and brothers you'll adore. A best friend every girl would love to have, and a terrifying road no one will see coming. Author's note: Fractured Moon has been rewritten from its original manuscript published in 2012 and republished May 26, 2014. This is 76K novel. 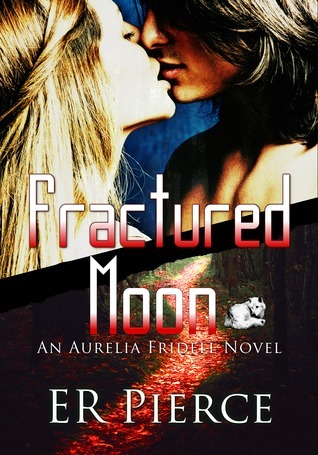 Fractured Moon is book one of the Aurelia Fridell Duology, with book two currently being written, titled "Moon Justice". There will be one novella and two short stories featuring characters from Fractured Moon. Ever read a book and around eighty percent of the way in, it takes such a completely 360 degree spin, that you end up really questioning why the author chose to go in that direction? That’s what happened to me with this book. I was really enjoying the read and then it was like, WHAT? Did that just happen? I guess that’s a sign of a good story teller though, because I never in a million years saw this one coming. Intrigued yet? And here I thought I was just reading a really good paranormal romance. WRONG! Aura is the daughter of an Alpha wolf, owns her own bookstore, spends more then her share of nights out with her best friend, Astrid, and oh yeah, has this huge problem. She has never been able to shift. Thankfully she has a big family that loves her, otherwise the rest of the pack would be her undoing. Pretty much bullied her whole life, she knows she will never find a wolf that will mate with her. When she meets a man from out of town, Ceithin, all that changes. Of course he has brought his girlfriend along on the trip and he’s not a cheater. Things do get interesting! I liked the premise of Aura being a wolf that can’t shift, but really hated the bullying aspect. Of course it probably has a lot to say about the bullying in our schools today-well that’s where my mind went while reading it anyway. The bullying is mainly her memories, so don’t let that make you shy away from this. I enjoyed getting to know the characters of Aura, Ceithin, Astrid, and all of Aura’s family. Besides her not being able to shift, her twin brother Ville, has a different sort of thing that happens when he shifts. Aura and Ville are also able to mentally talk to each other. Which gets me to the world building. I thought the back story of the world of wolf shifters was well imagined by the author. Most of it was pretty typical, but still nicely woven into a good story line. The author also introduces another paranormal creature that was pretty different. There was an aspect of the story that was pretty unbelievable, and I am not even talking about the paranormal aspects. I don’t want to tell any specific spoilers because that would be no fun. Suffice it to say, it involves something Aura owns. If you read this, I think you will understand. If you like your paranormal romance to have more of a story then just romance and sexual situations, then this book might be a good read for you. Don’t get me wrong, there is some pretty steamy parts as well. There’s also a mystery involved and some real surprises along the way. It is also part one of two, and I definitely will be reading the next one because I really want to know where this story is heading. Oh, and it really wasn’t a cliffhanger! You have sufficiently intrigued me, Lorna! I’m curious about whether or not Aura is ever able to shift…I want to know what the “What?! ?” moment was, and Mr. Ceithin having a girlfriend in tow sounds interesting. Plus, it seems like there are strong family dynamics in play, and I love that in a story. I’ll definitely pick up this one. Great review! Thank you! I hope you like it as much as I did! Aw, poor Aura! I hate bullying and don’t like that the wolves do it to one of their own (non-shifting but still!). Despite a couple of issues, yay for a four-star read! The bullying would drive me crazy as well. I’m not much of a paranormal reader, so this book was not on my radar at all. I don’t like questionable plot directions, for sure. I think I actually love that this took a twist that you didn’t even see coming but was still able to say that you liked it. Definitely a sign of a good story teller. I do like my Paranormal romance to have a good plot but can I just add how tired I am of seeing those cover models on books again and again? It’s good to hear that this one is so much more than just the steamy scenes. It doesn’t really sound like my kind of read but I am definitely curious about this really unbelievable thing you mentioned at the end there. Great review! This one sounds interesting. I’m curious about why she can’t shift! oh I am sorry, I shouldn’t have written it while I was still blindsided! I’ll admit, I’m intrigued! Shifter not being able to shift. Yes and there was a lot more to be intrigued about too! You have me really curious about that twist & why the MC can’t shift! 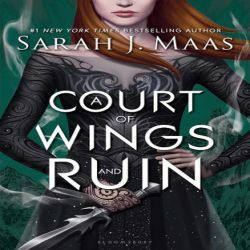 I’m definitely adding this one to my tbr pile. Thanks,I hope you like it! Nice review Lorna! I am quite intrigued about this twist you never saw coming… I like how Aura can’t shift and would like to see what happens with Ceithin, considering he already has a GF. The book does keep you interested I must say! Great review! 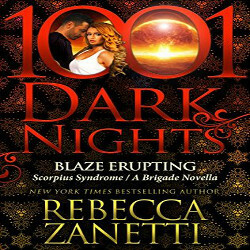 I’m always looking for good shifter romances, I’ve been having a bit of trouble finding ones that I liked. This one sounds great and I like the idea she cant shift and that she owns her own bookstore, how awesome! But the ending… should I be worried, was it a love/hate ending? No don’t be worried 🙂 and thanks, I hope you like it! Oh sorry 🙂 It just threw me when I read it and as I said in an earlier comment, I probably should have waited a few days before I wrote the review! Oh, I like this sound of this…very interesting indeed. Especially with her being a shfter that can’t shift. I hope you like it if you read it! Well, now I’m really intrigued. But also a little worried. Are you saying that the thing that happened 85% of the way through made you enjoy the book less? Or was it still good? This book sounds like it was difficult to review, mainly because you’re trying to avoid spoilers. It’s intriguing, and the fact that there is a huge turn and surprise has my interest peaked. I love books like that, even if it’s hard to say anything about them. well that didn’t work. Sorry my computer is messing me up. It was hard to keep from telling spoilers 🙂 And I wanted to so bad! I hope it lives up to being intrigued if you read it! Oh good! Thanks for the heads up!